The EU has the exclusive authority to set minimum safety standards for all new vehicles sold on the EU market. EU crash safety tests, and mandatory inclusion of technologies such as seat belt reminders and Electronic Stability Control have saved thousands of lives. The standards were last updated in 2009. 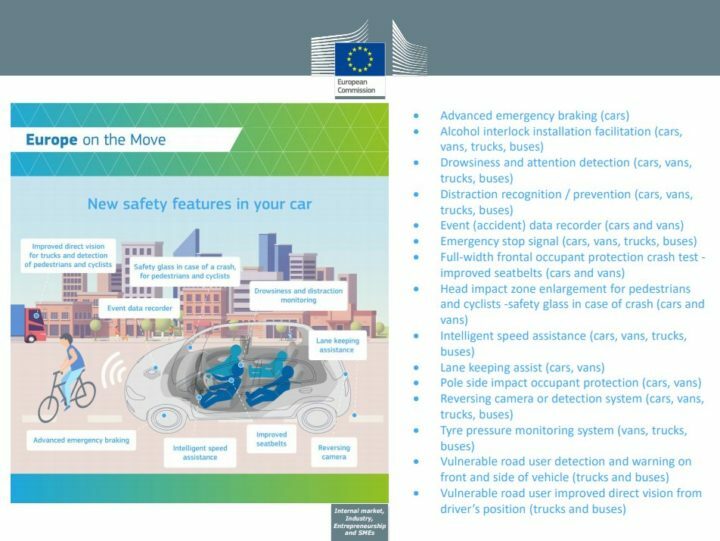 The revision of the “General Safety Regulation”, published on 17 May 2018, includes a set of new vehicle safety measures (see below), including mandatory installation of new driver assistance technologies, as well as revised minimum crash testing standards and measures to protect pedestrians and cyclists. The measures are expected to come into force from 2022 onwards. 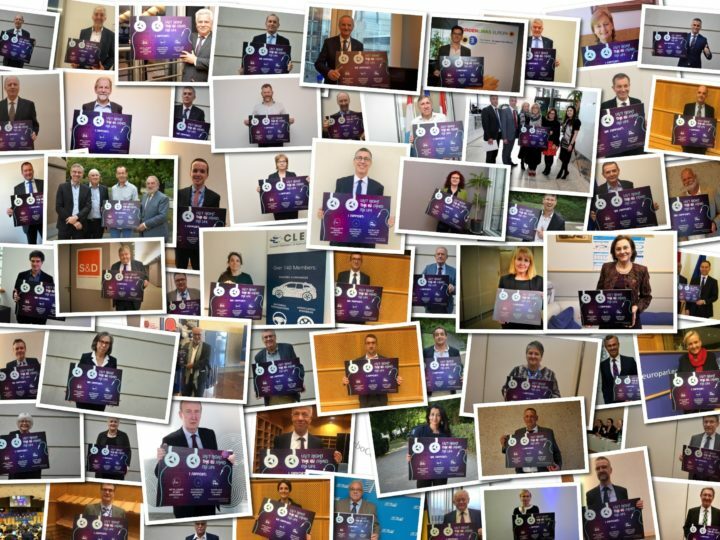 ETSC supported all of the above measures, in particular those with the most potential to reduce death and injury such as overridable Intelligent Speed Assistance (ISA) and Automated Emergency Braking (AEB). Both of these technologies are already widely available on the market but regulation is needed to make sure the benefits are extended to all new vehicles as standard. What is Intelligent Speed Assistance (ISA)? 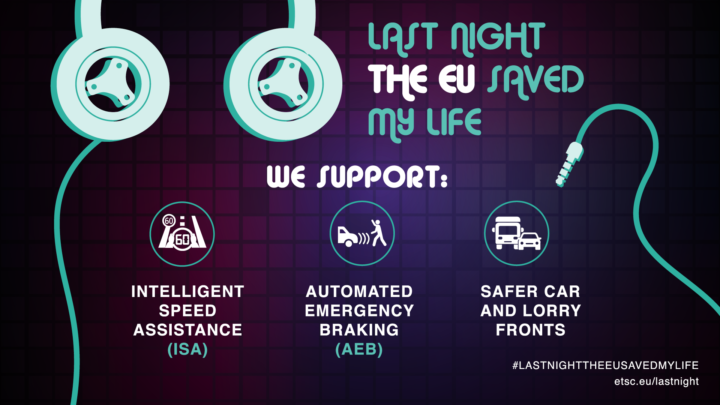 To garner political support for the new standards, ETSC ran a campaign during 2018 and 2019 called “Last Night the EU Saved My Life”. A final, but provisional deal, on the new legislation was agreed by Members of the European Parliament and the Member States of the European Union in March 2019 – but is still subject to confirmatory votes.